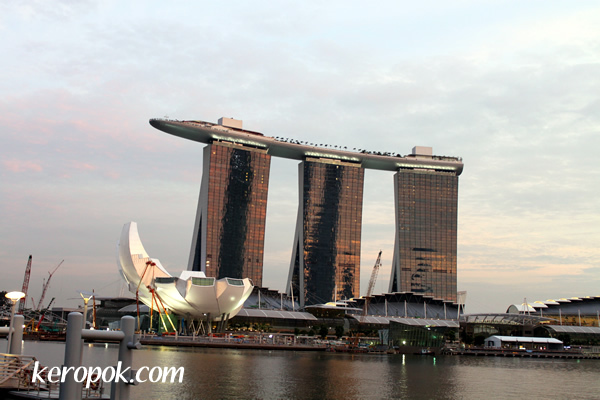 The lotus shape thingy on the bottom left of the photo is the upcoming Art and Science Museum at Marina Bay Sands. Looks like the exterior is close to completion. You ca see the cranes cladding the final pieces of the exterior. It's suppose to be a metal and glass structure. project. The same folks that has done jobs for various museums worldwide. I guess we can look forward to what it can offer.